¡Hola! Sorry for the long break in the posts but I am currently in Barcelona learning Spanish and I haven’t had much time for my blog. I am having an awesome here, sangria, sun and the food even though I have been struggling a bit with finding veggie dishes. The recipe today I have actually made at home just before I left so it is like a reminder of home for me :). My mum bought an organic vegetable basket and fresh peas was part of it. 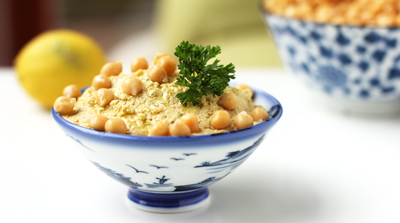 I shelled a pod or two just to taste it and I was hooked, I was then looking for a recipe that would capture this freshness and sweetness of it. 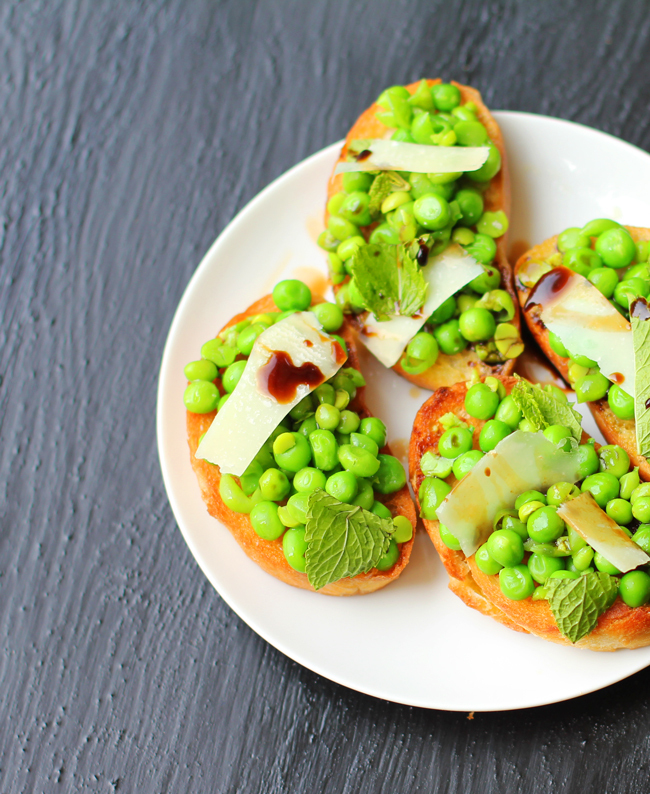 I found a Peas, Mint and Parmesan Crostini recipe at Epicurious and I absolutely loved it. 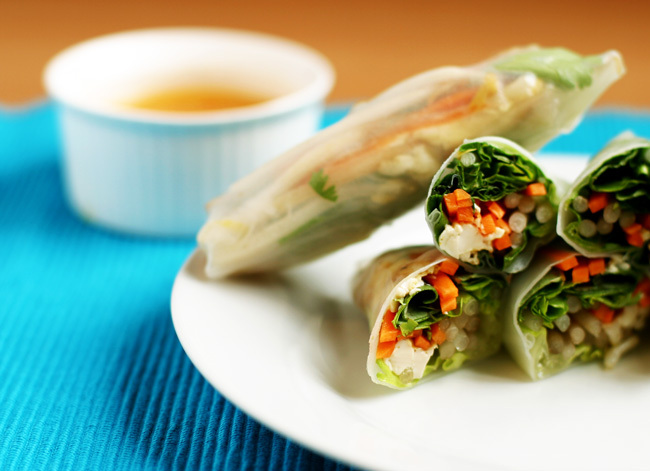 I have always called these spring rolls but apparently they are actually called summer rolls, they are fresh Vietnamese rolls in rice paper and they are great. The first time I had these was during my travelling in Vietnam last summer, I usually prefer the fried version which is slightly less pretty and a lot less healthy, but these rolls with veggies and tofu are just as awesome. And the sun is gone again from Durham, so everyone has gone back to doing house/dinner parties rather than staying outside and one of my friends decided to host a Mexican themed night with fajitas, nachos and some tequila. 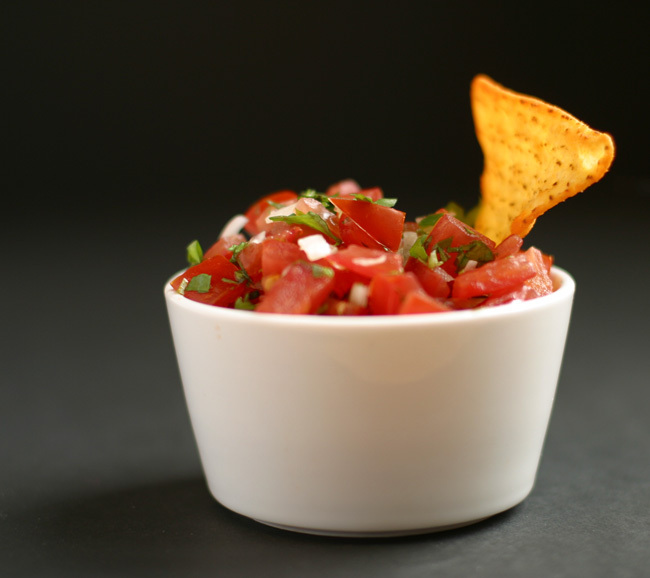 I volunteered to bring the dips – guacamole and pico de gallo. The guacamole recipe will appear here later but today it is the pico de gallo that I am writing about.